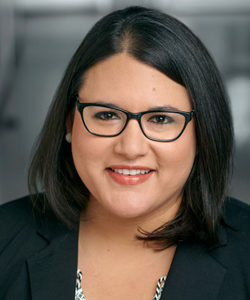 Alejandra Reyes is the 2018-2019 Post-Doctoral Fellow at the Institute on Municipal Finance and Governance. Her academic interests lie at the intersection of housing and urban development, policy and governance, and socioeconomic disparities. She is currently studying the role that municipal level governments have played in the drawing and implementation of – nationally mandated – urban growth boundaries in Mexico’s largely fragmented metropolitan regions. Originally from Zacatecas, Mexico, Alejandra received her BA in Architecture at UC Berkeley and an MS and PhD in Community and Regional Planning at the University of Texas at Austin. Her dissertation analyzed Mexico’s housing paradox – the fact that a third of its population endures poor housing conditions at the same time that the country is experiencing the highest vacancy rate among OECD countries. Her research examined how policymaking, at different levels, has fostered housing production and vacancy, as well as unregulated and speculative development, without effectively addressing the housing needs of the population. In her last year as a PhD candidate, Alejandra was a ConTex and Lincoln Institute of Land Policy Doctoral Fellow. Chibulu Luo is the recipient of the 2018-2019 Graduate Fellowship in Municipal Finance and Governance. She is a doctoral candidate in the Department of Civil Engineering at the University of Toronto. 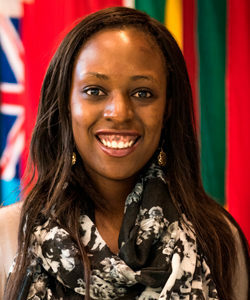 Her research examines the nexus between residential energy use, greenhouse gas (GHG) emissions, and spatial planning in rapidly growing sub-Saharan African cities. Chibulu is also a former Young Scientist with the International Institute for Applied Systems Analysis (IIASA); a Doctoral Research Awardee with International Development Research Centre (IDRC) Canada; a Doctoral Scholar with U of T's Centre for Global Engineering; and a researcher with the Engineering Education for Sustainable Cities in Africa (EESC-A) project within the Faculty of Applied Science and Engineering. Chibulu has worked extensively in environmental policy and development, including with the Earth Institute at Columbia University, the United Nations Children's Emergency Fund (UNICEF), the Global Environment Facility (GEF), and the World Bank. She holds Master’s degrees in Engineering Management and Mechanical Engineering. 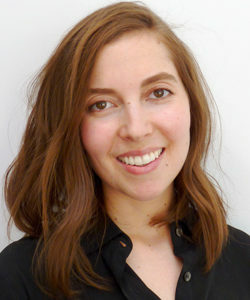 Kate Nelischer is the recipient of the Blanche and Sandy Van Ginkel Graduate Fellowship in Municipal Finance and Governance for 2018–2019. She is a PhD student in Geography and Planning at the University of Toronto. Kate’s research for IMFG will examine municipal governance, administration, and finance models for supporting services and infrastructure within the new smart city paradigm, with a focus on Sidewalk Toronto. Kate is currently the Assistant Dean, Academic and Outreach Programs at the University of Toronto John H. Daniels Faculty of Architecture, Landscape, and Design. She previously worked in urban planning and public consultation for the City of Toronto, the City of Brampton, and The Planning Partnership. Kate regularly writes for a number of publications, including Spacing, SITE, and Ground Magazine, and lectures on engagement practices for planning and design professionals. Since 2013 Kate has served as a Director of the YWCA Canada National Board.